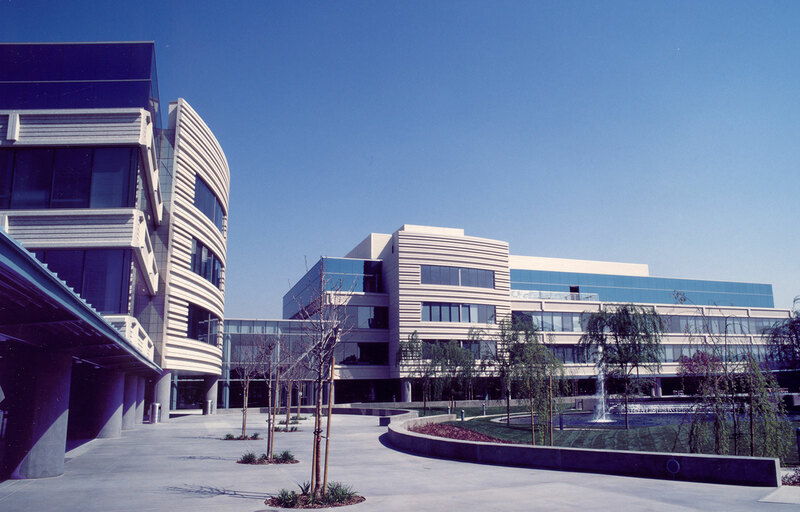 The Experian Corporate Headquarters, located near the intersection of the 5 and 55 Freeways, is a multi-building, low-rise office campus. The project includes three, four-story office buildings totaling 350,000 square feet and a 6-story stand-alone parking structure for 1,100 cars. The project features generous landscaped setbacks along bordering streets with an automobile drop-off area located at the main lobby. A major loop road orients users and visitors, providing access to the central complex, parking structure, and surface parking lots. 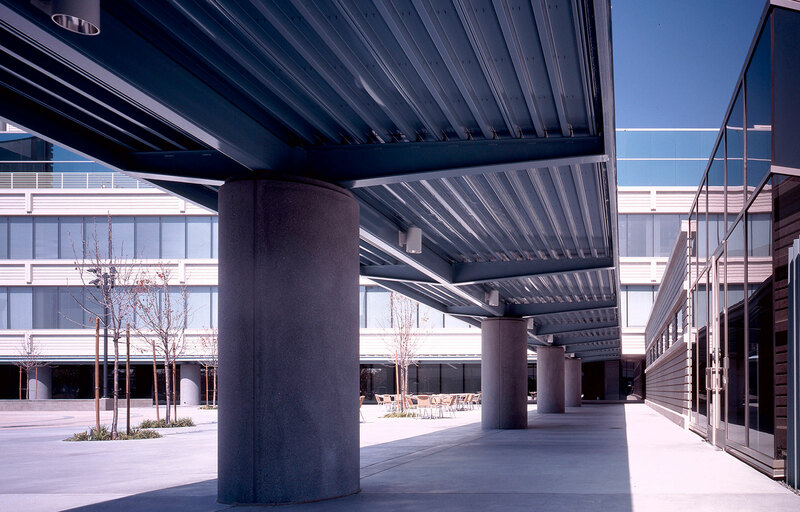 The buildings, including the main lobby and conference center, are organized around a landscaped courtyard and are linked by means of a system of arcades and canopy structures. The courtyard includes a major water feature and lush landscaping with shade trees and benches. 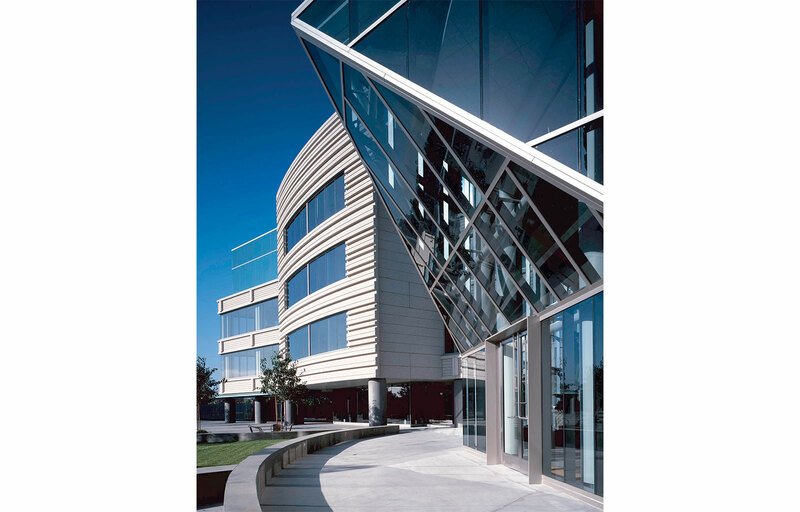 The articulated facades are designed as modern expressions of building systems, and consist of lightly colored materials and complementary glazing. The parking structure is designed to complement the office building architecture while landscaping enhances its surroundings. 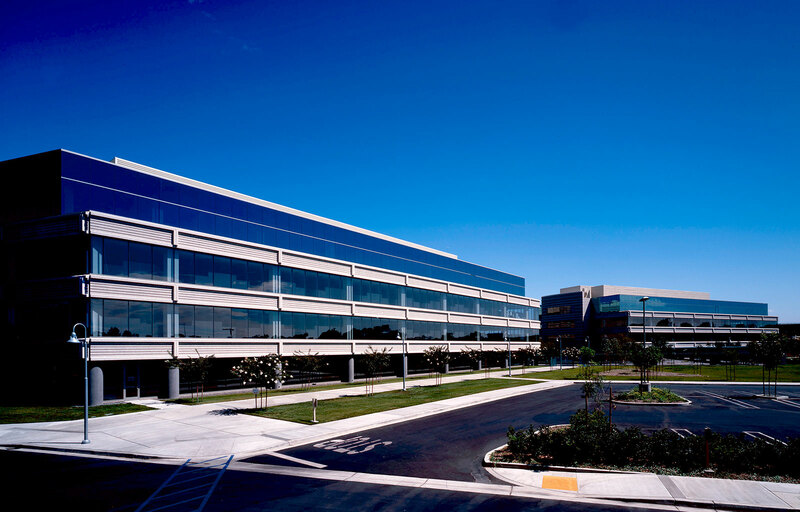 Interior spaces for Experian’s Corporate Headquarters include a mix of private and open-plan offices with a full floor of executive suites and amenities. All-glass lobbies mirror the symmetry of the central courtyard and are united by a dramatic glass enclosed central lobby. 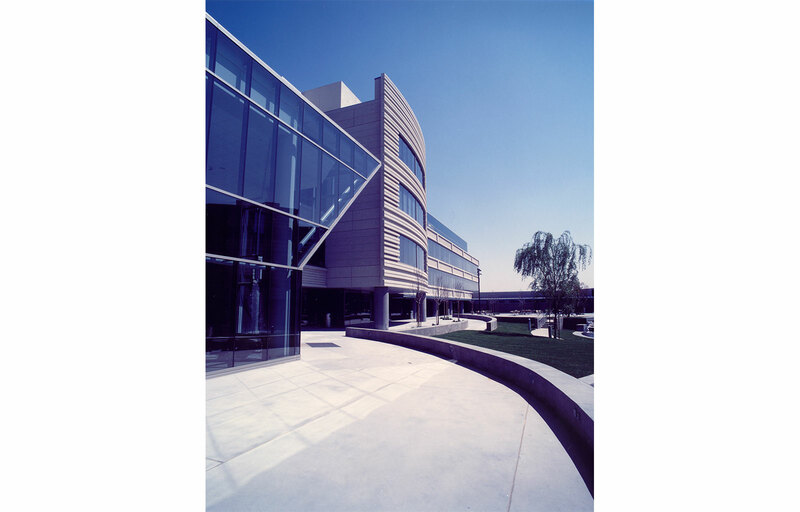 The campus consists of a variety of training facilities including a 15,000 square-foot conference center and multiple conference rooms. Employees enjoy a full-service cafeteria and commissary totaling 6,000 square-feet, which opens directly onto the central courtyard with additional seating.